Very good feed back Kati. I had entered every giveaway when the GO! project was in full swing. I never won one, and as you said, I was not sure that I would really use it if I laid out the money for one. Having never tried it, I just was not able to make that kind of investment. A year ago I fell and broke my right wrist. I was not able to do any cutting or quilting for a very long time. I did actually win a GO! Baby a couple of months ago, so I am hoping that this will be a good tool for me to use now. My mobility is about 75%, but the biggest problem I have is endurance with the rotary. I've yet to learn the sizes of fabric like you stated, but hopefully after the first of the year I can get this little machine out and give it a good work out. Thanks again for your thoughts. I actually purchased my Go! To use for binding and log cabin strips. When I can cut the strips for bindin an entire quilt in one or two passes, I am a happy camper. I also can't imagine how long the strips for log cabin blocks would have taken me otherwise. I do find that limiting the number of layers on the die to 4 or at most 6 helps with accuracy. wow, those are some beautiful points on that block! thanks for the great detailed review on the go baby. I've been considering one and your feedback is really helpful. 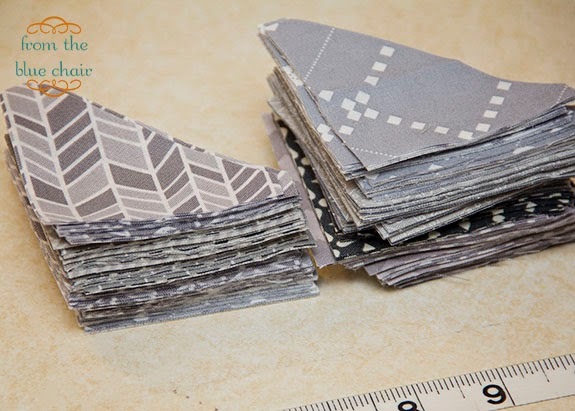 I use a Sizzix for HSTs and really wouldn't do without it - I don't think Sizzix is as big in the US as in the UK, but they have really upped their game with proper quilting sized dies. Wow, with that stack of fabric this quilt is certainly going to be stunning! Thanks for the info on the Go! Baby cutter - I too have wondered about getting a die cutter and whether it would be worthwhile. 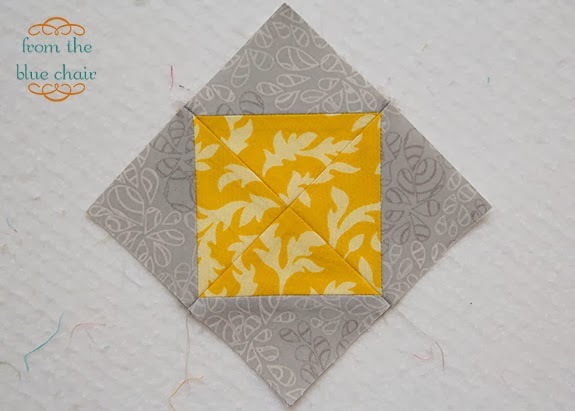 Maybe if I ever get around to doing a drunkard's path quilt - and I do like the idea of not having to trim HSTs. Great post. Thought I'd do a search for other posts you may have shared on using AccuQuilt, but couldn't find a search feature. I love the triangle dies -- I think they're the main reason I bought my GO! 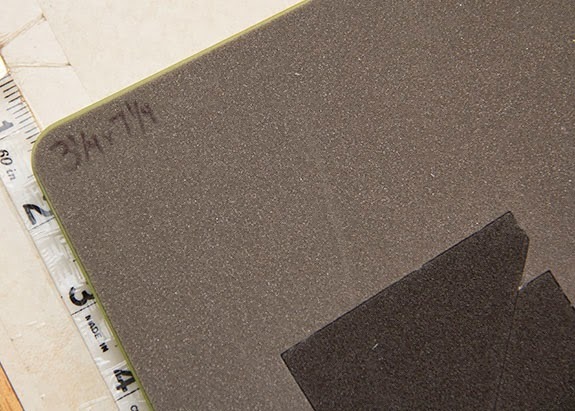 And I love the squares for cutting from oddly shaped scraps. 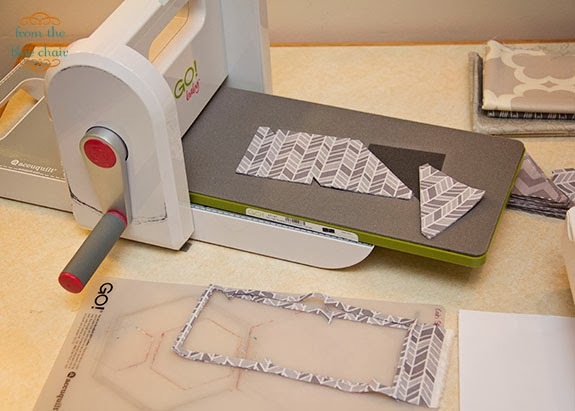 For those, it's a lot faster than squaring things up and using a rotary cutter -- and you can stack fabrics, so as long as they're over the lines and mostly on gain, it's worked for me. 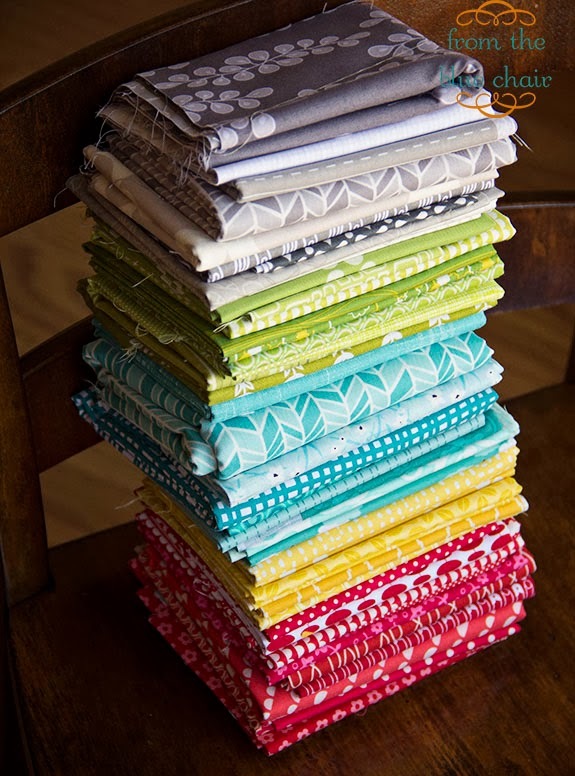 Love that stack of fabrics you've pulled! I have a Sizzix rather than a Go, and I got it when I was scrapbooking years ago. I've never yet bought a quilting die for it, as I know there's nothing I really want one for, but I love using the flower dies and things for decorating bags and the like.